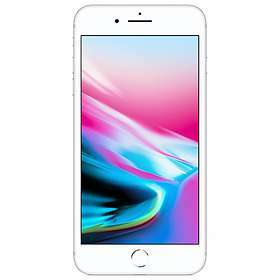 The Apple iPhone 8 Plus has a 5.5-inch screen, a glass back, and is available in silver, gold and space grey. New features are support for wireless charging, better performance, True Tone display with support for HDR10 / Dolby Vision and 4K / 60fps video recording. The model also has bluetooth 5.0 and fast-charge.